The Optigrow® range represents the most exciting development for the seed market in decades, speeding up germination and bringing a host of other benefits to the home gardener that were previously only available to professional growers. 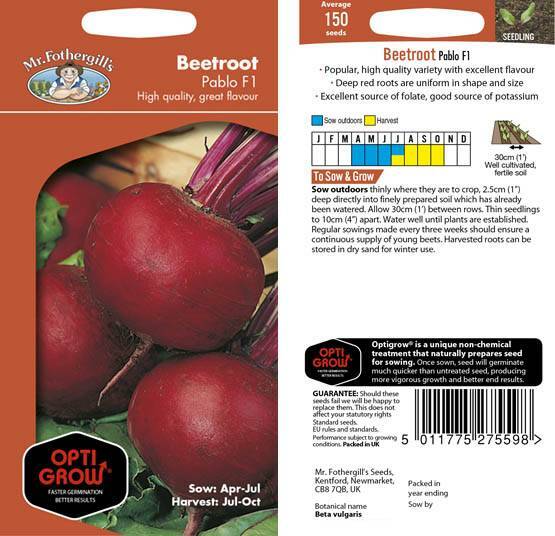 The range utilises a revolutionary seed priming treatment to bring genuine and valuable performance benefits to 20 of the most popular Mr Fothergill’s vegetable seed varieties. The process is so different from traditional priming methods we prefer to call it ‘vitalisation’. What's so special about us? Find out what's makes our products so good in our about us section. © 2019 Mr Fothergill's Seeds Ltd.